Team BN Bank’s Øystein Pettersen had an emotional victory today as he showed everyone that the man with jokes can do serious business. His Pro Team BN Bank took home the four best positions. Lager 157 Ski Team’s Britta Johansson Norgren had a tight fight against Team Koteng’s Astrid Øyre Slind, but the former was able to push a bit harder in the end and win the first individual race of Season IX. 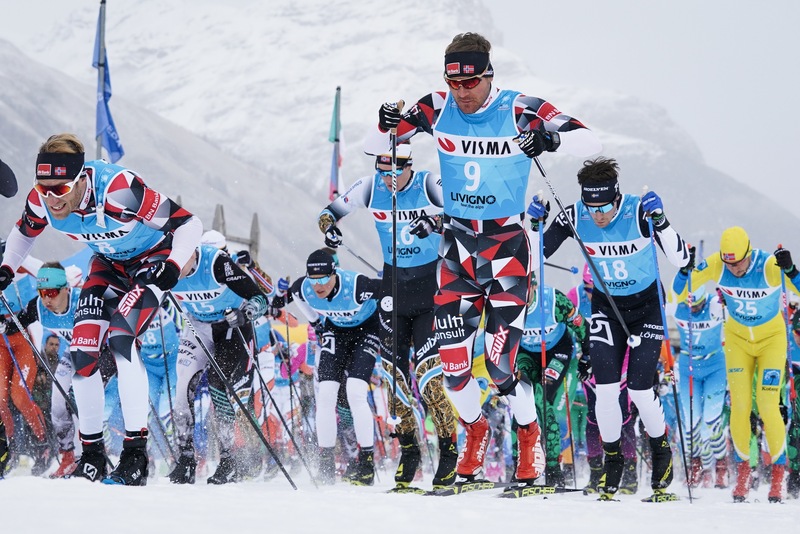 The 28-kilometer Individual Prologue finished the action-packed Visma Ski Classics weekend in Livigno, Italy. 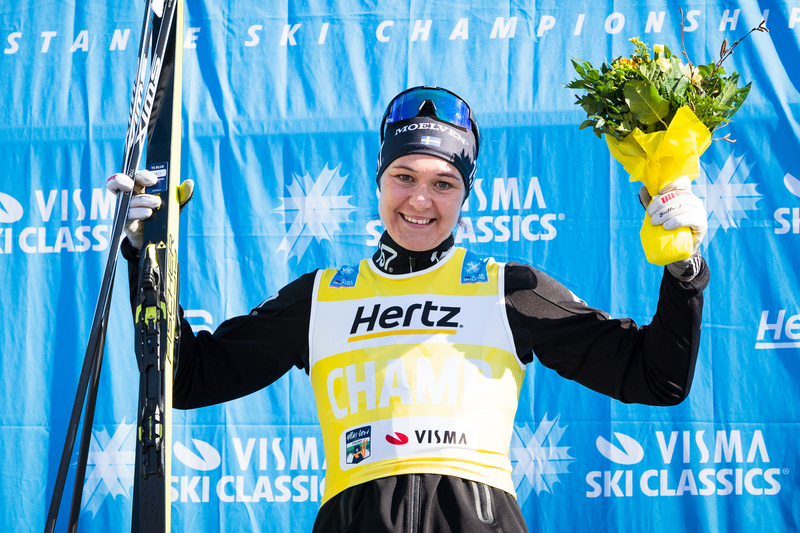 The women started at 9.30 CET and the men at 11 CET after the female skiers had finished their race. There were two sprint and two climb check points on the course. 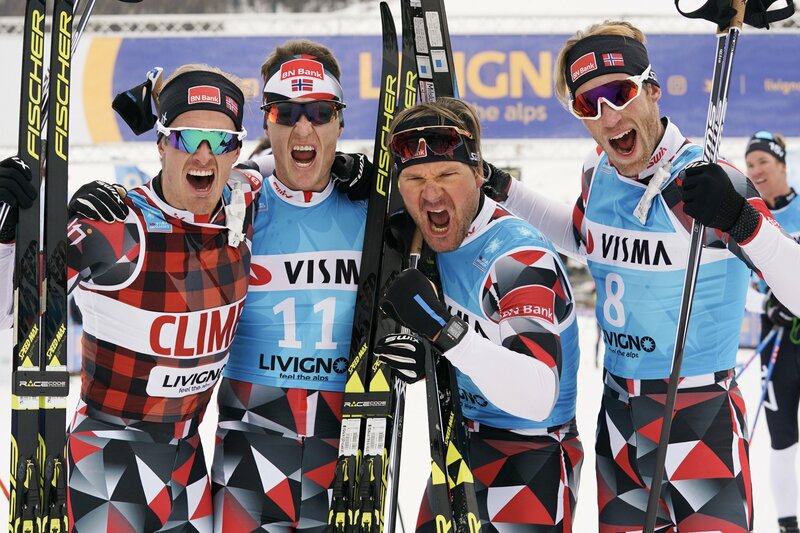 Johansson Norgren managed to take the most points in all the competitions today while her teammate Anton Karlsson and Team Ramudden’s Olof Jonsson had a vicious battle for the crown of the sprint competition. They ended up with equal points sharing the lead as both of them won one sprint and finished second in the other. Russian Marathon Team’s Ermil Vokuev was the fastest climber on both occasions. 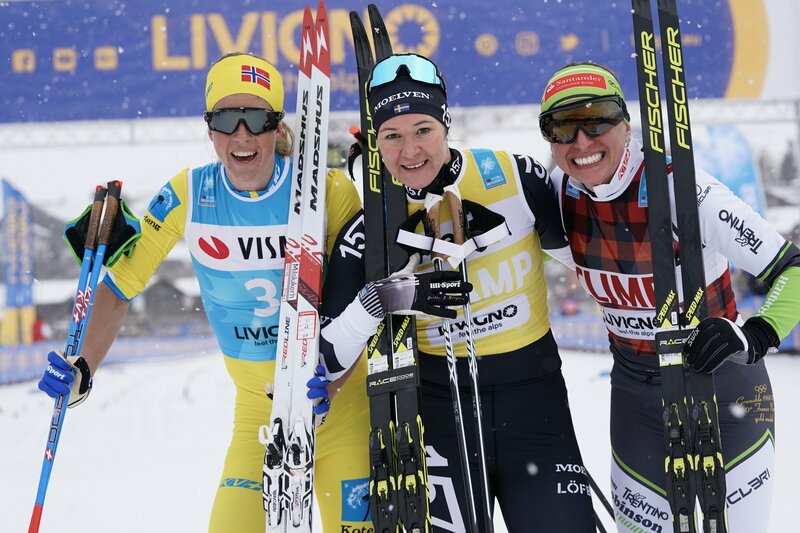 In the women’s race, Johansson Norgren, Øyre Slind and Team Trentino Robinson Trainer’s Justyna Kowalczyk approached the final climb together, but the latter couldn’t keep up with her stronger opponents. In the men’s race, Team BN Bank was superior to everyone else. 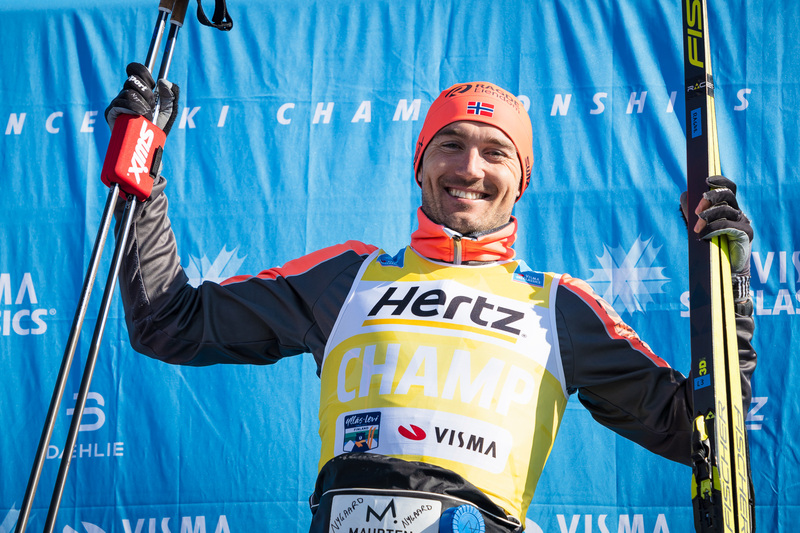 After the second climb competition, the four skiers of the pro team broke away followed by two Team Koteng skiers; Chris Andre Jespersen and Tore Bjørseth Berdal. The final climb proved to be the decisive moment as the Team BN Bank skiers sped up and approached the finish line in unison. Pettersen was the quickest sprinter beating out his teammates; Morten Eide Pedersen, Simen Østensen and Petter Eliassen, respectively. After this weekend, the youth competition leaders were new faces as Team Ramudden’s Jenny Larsson and Lager 157 Ski Team’s Emil Persson are now carrying the pink bibs. Lager 157 Ski Team leads the pro team competition. The next event of the season is Kaiser Maximilian Lauf, 60 km, in Seefeld, Austria, on January 12, 2019. Follow us on Facebook and Instagram for behind the scenes stories!